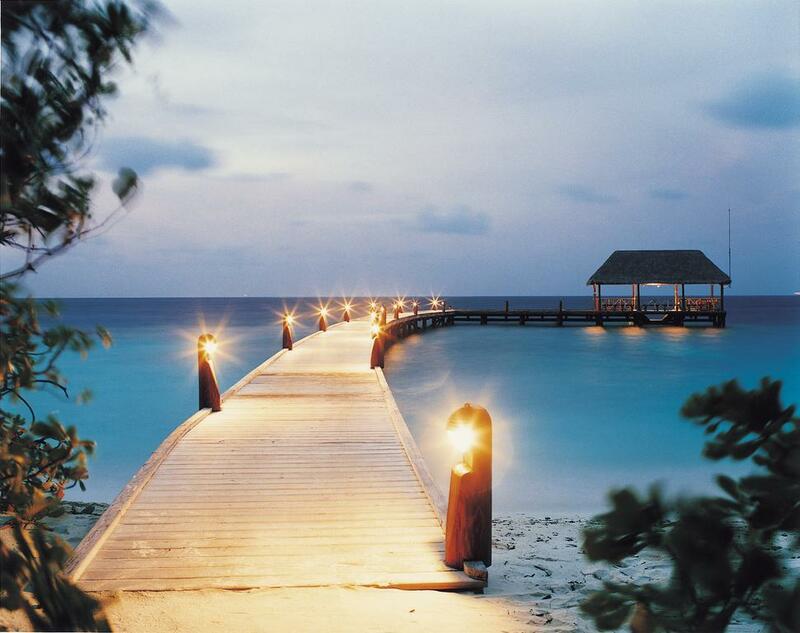 COMO Cocoa Island is an intimate private Maldives island resort, located in the South Malé Atoll. It is about 40-minute speedboat ride from Male International Airport. 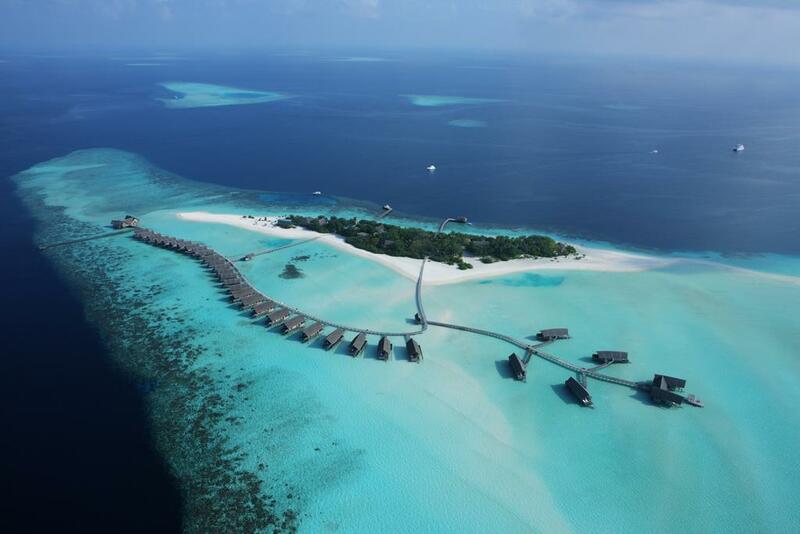 33 overwater suites and villas are inspired by the Dhoni (a local fishing boat). 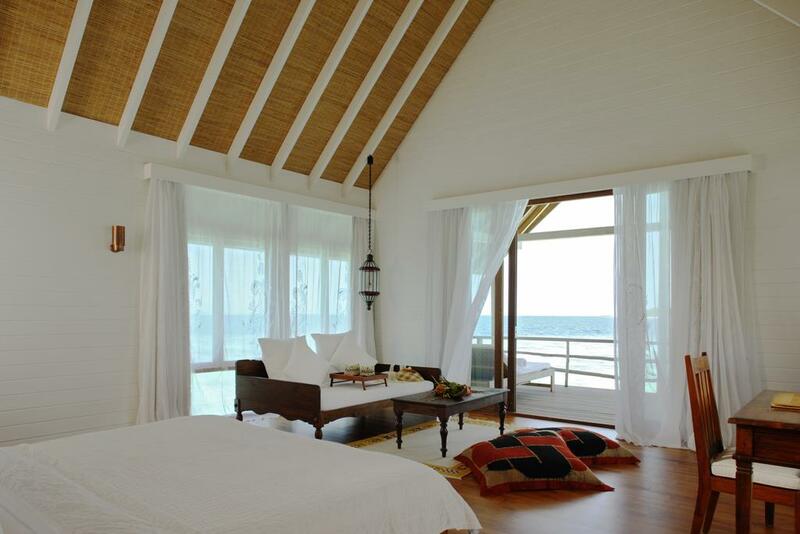 Each room has its own private terrace, all the better for slipping into the warm Maldivian sea, right from your room. The view from the wide platform is directly out to the watery expanse and horizon. Interiors are dominated by whites and blues, with only the subtlest nod to a certain local rustic aesthetic. COMO Cocoa Island offers a range of dining options at both our open-sided Ufaa restaurant and our foot-in-the-sand Faru Bar. For those who want a little extra privacy – whether a romantic meal for two or an intimate gathering with friends and family – our private dining experiences provide the seclusion you’re looking for, in dramatic spots around the island. 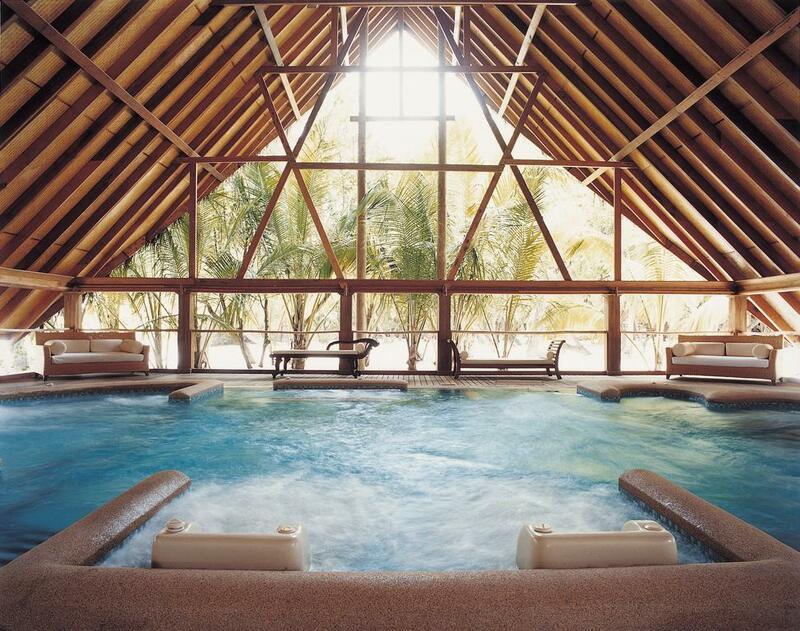 The resort also features indulgent spa treatments at Ayurvedic, 2 private diving reefs and an infinity pool.